Coffee made through a Barista & Co. Coffee Press looks, smells and more importantly, tastes fantastic. 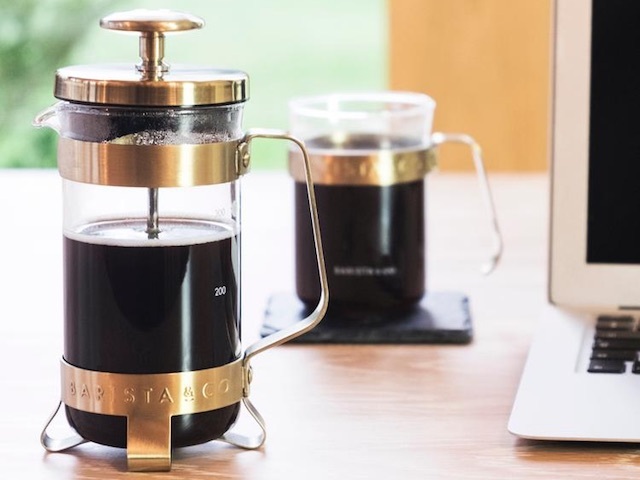 Designed in the UK, and made with borosilicate heat resistant glass, this beautifully simple and convenient system combines serving and brewing in one unit. The ergonomically designed handle and knob make applying pressure easier. Due to the fine metal filter, this system produces a smooth coffee that doesn’t remove any of its natural oils. Now you can be your own Barista at home!